Whether you’re an athlete, a gardener, or your muscles are just showing their age, this sore muscle rub is the answer. It uses soothing, anti-inflammatory and pain relieving essential oils to give achy muscles the care they need. With just a few simple ingredients, you’ll have some on hand in no time. Frankincense has been studied for its anti-cancer and anti-inflammatory benefits. 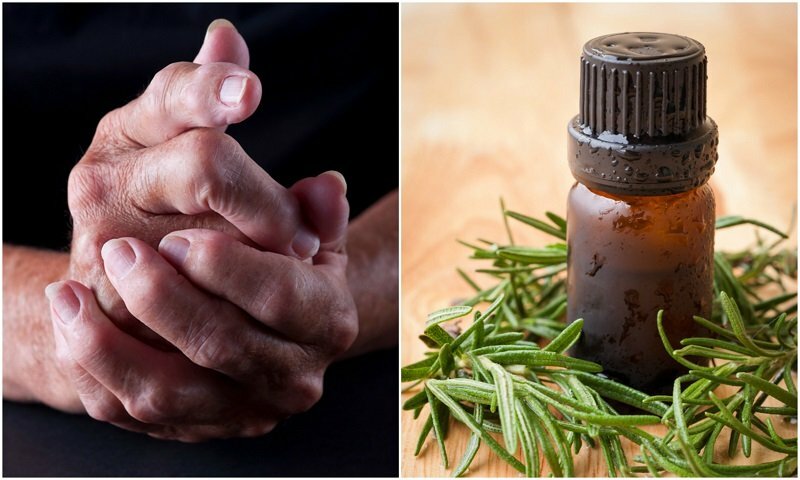 This essential oil helps ease rheumatic pain and sprains. It also relieves the discomfort from achy joints. It’s a more expensive oil, but it’s still a good one to keep on hand for its potent health benefits. A little goes a long way, so a bottle can last through many uses. This essential oil may remind you of grandma’s beef stew, but it also has therapeutic value. Marjoram relieves muscle pain, and soothes spasms and strains. It can also help with pain associated with aging, like arthritis and rheumatism. Marjoram not only calms muscles, but nerves as well, making it useful for agitation and irritability. Rosemary essential oil finishes off this sore muscle rub recipe. It helps soothe aches and pains, and calms away cramps. It helps with achy joints by eliminating gout and rheumatism. Since rosemary also helps to improve circulation and lymphatic congestion, it speeds healing in the body for post-workout muscle repair. For this recipe, and all of our essential oil projects, we use Plant Therapy Essential Oils. All oils used in this recipe can be purchased from this page on their official website, or on Amazon using the links below. Pour the carrier oil and place the beeswax into the glass bowl. Fill the pot halfway with water, and put it on the stove with medium high heat. Perch the glass bowl on top of the pot to create a double boiler effect. Once the water begins to boil, turn it down to medium low. You want the water to remain at a low boil, without getting all over the stove. Stir the mixture with the metal spoon until the beeswax is melted. Carefully remove the glass bowl from the heat and place it on a table top. Allow the mixture to cool for a few minutes, then stir in the essential oils. If the oil is too hot, the essential oils will just evaporate into the air. Pour the muscle rub into metal tins, or the glass jar and let it cool to room temperature. You can also put the muscle rub in the fridge to speed up the process. Reach for this whenever you have sore, achy muscles, and rub it in liberally. The oils used in this rub are also skin soothing, so it can be used on damaged skin. If you experience any discomfort or sensitivity though, then discontinue use. Be sure to store the muscle rub out of direct heat and sunlight to preserve its therapeutic value. Love DIY recipes like this? Then get yourself a copy of the Everyday Roots downloadable guide with 215+ DIY recipes for making your own natural health and beauty products and non-toxic cleaning supplies. Get your copy here.